Anyone who has ever watched Friends will know that you have to be very careful when investing in a pair of knee-high boots. One wrong move and you can end up like Monica Geller, piggy-backing barefoot after wearing an ill-fitting pair for too long. Most boots look better with heels; however, this means they can result in a lot of hobbling and blisters, dramatically bringing down that cost per wear. Get a new pair of boots right, though, and you can wear them every day and with every outfit (maybe Monica was right about spending a little more on an investment pair). 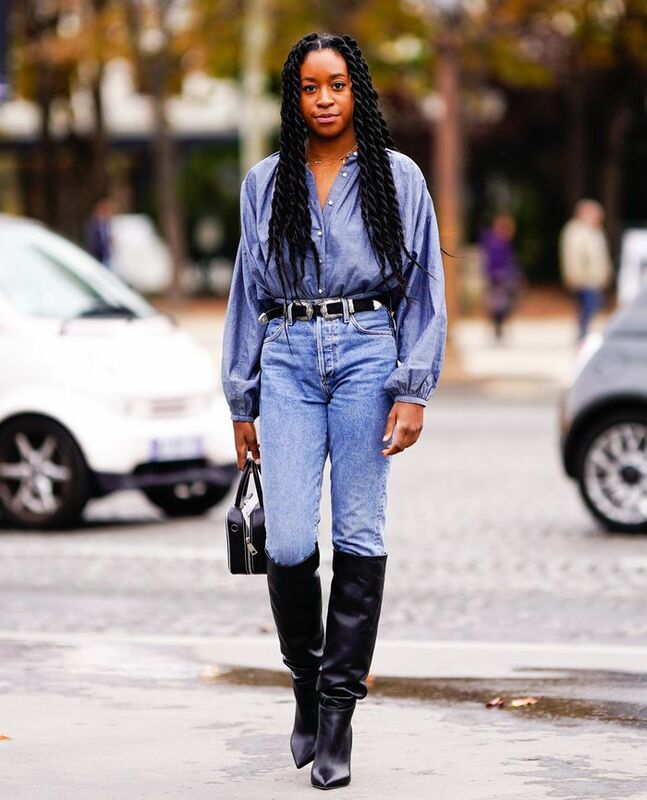 Knee-high boots are a classic that won't go out of style, so it's no wonder we've spotted so many winning pairs on influencers this season. On the high street, John Lewis & Partners, Mango and & Other Stories have created some headlining heels, while on the luxury end, we are most taken aback by the boots from Saint Laurent, Gianvito Rossi and Acne Studios. In terms of styles, you can never go wrong with a black leather pair. However, burgundy, white and buttery cream leather pairs are just as chic. Snakeskin might seem like a 2018 fad, but even Anna Wintour has been wearing her animal-print boots for years—proving these aren't just a "wear for one season" mistake. Keep scrolling to see and shop our favourite new-in knee-high boots. Style Notes: We love how these black glossy knee-highs look over a pair of classic blue jeans. Style Notes: Lisa Aiken wears Mango's white knee-high boots underneath a checked, pleated skirt. Style Notes: Snakeskin-effect boots have long been an Anna Wintour signature, and we love how Tiffany paired hers with a mustard dress. We love this subtle Western silhouette. We spotted these several times at fashion week. Leather and suede boots in one. A classic pair you'll have for decades. & Other Stories's shoes are arguably the best on the high street. The chunky heel looks really expensive. These would look amazing with a simple black pencil skirt. We would style these with a full tonal look. The lower heels make these a good everyday option. The Lous are one of the It boots of the season. These have been a hit with the influencer crowd. Croc-effect accessories are really popular this season. 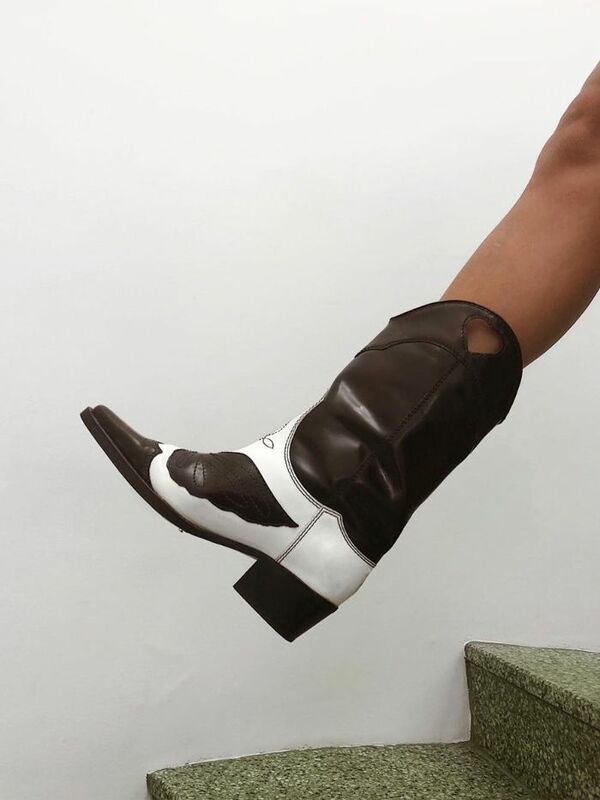 Next up, see how we're wearing cowboy boots this season.